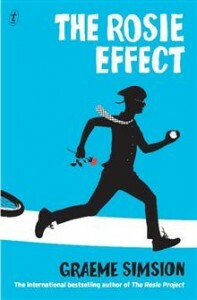 We all loved The Rosie Project and decided to pick The Rosie Effect for our next book. Although there was much about the book that we enjoyed, most of us were pretty frustrated with the characters and the story line. We felt some of the storylines lacked credibility and didn’t flow. In the story Don asks Sonja to pretend to be Rosie to help get him out of trouble with a social worker. We felt that Don’s behaviour was uncharacteristic of a person with autism. It was hard to believe that he was capable of being deceiptful and have that level of awareness to avoid stressing Rosie. It was nice to see him develop some empathy. Some of our bookclub members did not like Rosie’s character. She was very closed-off. Rosie did not involve Don in her decisions, for example, going off the pill, going to doctor’s appointments etc. Having loved The Rosie Project we were all looking forward to the sequel. We were no longer surprised by Don’s quirky behaviours and obsessions. It was too much of the same thing. This entry was posted in Book Reviews, Fiction, Romance by Parra Reader. Bookmark the permalink.